Piston mechanism lowers your hidden bed quietly and gently—ideal for guest beds, small rooms and studio apartments. Create a wall bed that opens smoothly and quietly with these premium piston lift mechanisms. With no springs to break or slacken over time, you'll get years of reliable service. Unlike many other kits, these packages include a sturdy steel mattress platform with comfortable cambered wood slats to support your mattress. 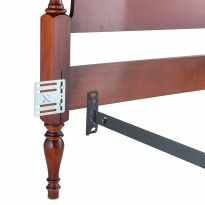 Metal legs at the foot of the bed swing out for a level sleeping surface when opened, and the mechanism holds the bed securely closed when not in use. Instructions are included for building a basic cabinet enclosure. 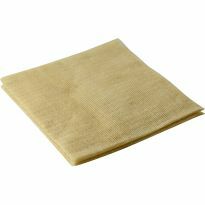 Compatible with mattresses up to 10'' thick. Choose from Twin, Full and Queen sizes. I am a professional interior trim carpenter so the assembly was probably easier for me than some. But, the instructions included with this kit are outstanding and I'm confident that someone with intermediate experience can create a beautiful finished product. Further, this is the third bed kit I've bought from Rockler over the past ten years and this version is vastly improved when compared to earlier units. The only negative observation I'd offer is that there are a couple odd tools required for completion. Specifically, a 27/64" drill bit and 8mm allen wrench. Really, a 27/64" drill bit? Good luck finding that in your local hardware store! Since you don't discover that need until you're well into the project it becomes an unexpected stopping point. 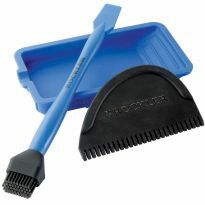 Unfortunately, you really do need these two items so I suggest ordering them when you order the bed kit. Otherwise, I highly recommend this product as an easy way to save/create usable space in a room, with a very good quality unit! Everyone loves our new Murphy bed! Couldn't be happier! Project turned out GREAT! It was my very first furniture attempt. All is well. Easy for the DIY Person! 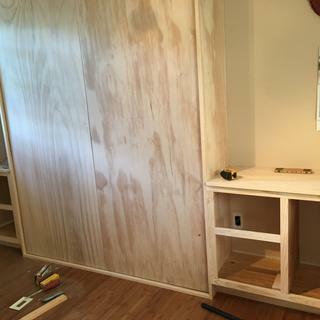 I worried as I had never built a Murphy Bed before. I use to have a Handyman Service years ago. Had done a lot of things but nothing like this. Especially building it from two wooden towers that I previously had built for a 54" Floor Model TV. This was so easy. I worried unnecessarily! The directions were easy to understand! Thanks so much! Did I mention I am Melvin's wife? Yes, even a Woman can do this! Instructions were complete and well written. The only minor problem was that 1 hole was not drilled in the side mounting bracket. instructions were very clear and precise. I made a Full size and when friends saw them I was asked to make another full size and a queen. All instructions were easy to follow. Make sure you pay attention to 'left' 'right' and 'top' orientations. Once the parts were completed I moved the pieces into the house. My wife and I assembled the pieces. Construction and assembly instructions were excellent. We are in shock right now. We bought a queen size Murphy bed for our mountain condo. We precut the wall frame before we left home. We got it attached and began putting together the bed frame hardware. We readied it to put in the hole and it is a full size not a queen size. Wow! We couldn't believe it. I called customer service and he immediately apologized and said he would get the queen bed hardware shipped immediately no questions asked. Wow!!!! We were in shock! Now that's customer service. We love the quality hardware. Beside the inconvenience of the wrong bed being sent to us we are very impressed with Rockler. This is an excellent product and my comments are to help others avoid the mistakes I made. I am a 35 year experienced woodworker with a fully equipped shop. When I started looking for a plan I saw the option to download the Woodworker Journal plan. I did this and started working on the bed before my I Semble order arrived. I don't like painted projects so I bought 4 sheets of Cherry plywood and the cherry required to make the frame for the door shown in the on-line plan. By the time my hardware arrived I had cut out all the required pieces. I then installed the mounting brackets as shown by the templates in the box with the hardware. I didn't realize until too late that the plan with the hardware had only the plywood door, not the door plus a solid wood frame. This put the mounting plate in the wrong place and required a lot of effort to save $400 worth of material. I resolved the problem by adding more trim to the front. This could have been avoided if any note had been included with the on-line plan stating that it was different from the plan included with the hardware. The next issue was with the brackets used to mount the bed against the wall. These are not adequate. They have two holes that are too far apart to use on a 2X4 stud and the screws are too short. The pistons are so powerful that the screws pulled out of the studs. I replaced them with larger L brackets and 3 inch screws. The end result is a wonderful bed that thrilled my wife to no end. Great hardware kit and easy to follow instructions. This hardware kit is awesome. I downloaded the free plans for the queen bed. Everything went together perfectly. I have very little woodworking experience. I also have limited tools. I was able to assemble this project using a router, skill saw with a ripping guide, a biscuit joiner and hand sander. I would recommend it to a friend. I added a rod for guests to hang a few clothes. Perfect for people like me who are looking for hardware but want enough flexibility to customize the final look. This hardware kit made making a Murphy Bed simple, but strong. Have used other kits but they required making the platform out of wood. This made it heavy and hard to move. Another great idackler. The end product looks great. Having done it once, I wouldn't hesitate in getting the product again but would anticipate the following. First off, there are two foam blocks (GG in the instructions) that come in handy at the end of the project so don't think they're part of the protective packaging and throw them out. You'll need them at the end (we had to improvise since we thought we'd be slick and get the work area cleared out and take advantage of trash/recycle day before build day). If they were marked to keep, it was totally missed by us. The tools list is missing two things you'll need - 27/64" drill bit and a #8 Allen key. When using the template/drilling guide, it wasn't the correct dimensions for the width of wood you're using it on. We used the front edge against the front edge of our board and ignored the discrepancy. One of the piston ends needed to be bored out in order to fit onto the threaded stug on the bed frame. The wall brackets to secure the cabinet to the wall didn't match the measurements given in the instruction guide so use the bracket itself to measure, mark and predrill. We also had to use a 2"x4" for the permanent stop as the thickness called for in the instructions didn't stop anything. Overall, we were able to overcome and it was a great weekend project. Mechanism and frame are great. If you use plywood, the front of the sides and top tend to bow causing a gap in the sides. I used 3/4 inch oak plywood and had to add a crown so the top would not sag and prevent full closure. Wall anchor screws are too short and the bracket will only align with one hole to a stud. Would suggest longer screws into the frame also. Setting the anchors for the mechanism is very precise and can affect the operation and closing alignment. Overall I would buy it again but do the wood differently. Hardware is easy to put together instructions are good. Suggest a read through before you start. Don't use the throwaway wrench unless you have to. Results are excellent and with a standard mattress this is a comfortable bed. Queen size, finished with GF milk paint. Overall very easy to work with. Don't tighten the frame as you go. Put it all together first. The problem I have with it is that there is no adjustment depending on how heavy the mattress is. The mattress we used was pretty light and the door wants to fall down and doesn't stay at 45 degrees like other Murphy Bed kits I've used. I used 3/4" ply so that wasn't the problem. I do like it but having an adjustment on the pistons would be better. Some of the tapped screw holes were not well tapped and needed some tinkering. The supplied tools - L wrenchs and a 3.5" wrench - are a pretty worthless. One L wrench rounded off to useless about half way through. Assembly with the supplied wrench would have been a very long and tiresome process. The framing members weren't as square, uniformly welded and accurately measured as they should be - requiring more tinkering. Supplied screws for attaching the frame to the doors were regular wood screws for holes in the metal frame that aren't counter sunk. Had to buy pan heads. Supplied screws would have left exposed sharp edges. 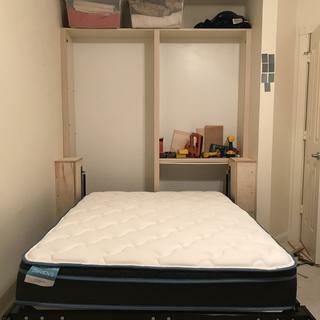 I installed the Murphy bed for a standard size mattress in a 96” high x 72” wide x 23” deep closet. The assembly directions were ok but because the directions apply only to a cabinet mounted system I feel directions for this option should be included. 1. All the wood slats should be installed after the frame is mounted. This would allow for better flexibility of the frame and access to attach and connect the lifting arms to the brackets. 2. The weights of all the components should be included. 3. An alternate weighting system system or adjustable pressure lifting arms can be an option. I went through the I-Semble bed saga(Nov 2017 - Feb 2018) of not receiving cylinders with original shipment, awaiting the approval of the safety recall repair kit but I have now received my cylinders. During this saga I was in the occasional contact with Renee of Rockler's technical services department. She was extremely patient and genuine with her responses to my sometime not so pleasant comments and frustrations. Thank you Renee for being professional and following through with my complaints and questions. Plan on spending extra time and money to add a 20lb plate of steel to the backside of the door to get the unit to operate properly. Carefully measure the drill hole locations for the mounting bracket vs relying on the template provided. I have made a number of these murphy beds over the years for clients using the create a bed. I bought the I assemble when it first was introduced and waited 2.5 months for it to arrive. Just got done installing for a client and when placing the mattress on the bed it will not stay flat to the ground. Mattress support holes were drilled at the foot of the bed not the head where they are supposed to be. Calling customer support told me it is supposed to be made out of MDF for weight. No where in my original manual does it indicated this. They told me they had to change the manual after it was launched because of the issues they were having this. Unfortunately this was an after the fact insight on their part. Now I have to take the whole bed frame apart to replace the pistons with lighter ones on my time and dime. Thanks Rockler and I-semble!! Doing it twice and only getting paid once is the recipe for a successful business! Easy to use website. Liked the reviews and videos. We have a small room that we want to double as an office and guest room, and we didn't want to spend a lot of money on a murphy bed. This kit was a great solution! The overall design of both the mounting system and frame itself appear to be superior...time will tell. I'm going to video tape this project to show any woman can do anything at any age if you put your mind to it. Researching the product and finding an excellent kit is where it starts. 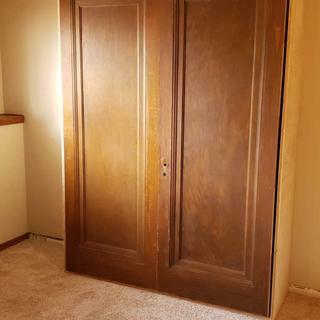 Looking for a murphy bed for a guest room, same hardware (or appears to be) used in Bestar finished furniture. I wanted real wood frame rather than Bestar particle board, looked for a solution and found one. We needed another type of bed in our camping trailer other than what it originally came out with. It was a fold in half mattress which was very uncomfortable. We are putting one in a spare room and saw good reviews. 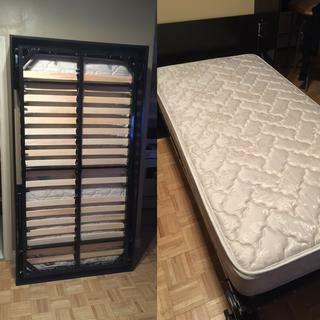 I read the reviews on a couple of the hardware kits and I like the fact that this kit was more complete, frame and all, including a spring system under the mattress. NEED MORE ROOM. SEEMS EASY TO INSTALL. We needed to save space and a good woodworking project has to have good hardware to make it good! A friend ordered one from you and liked it. 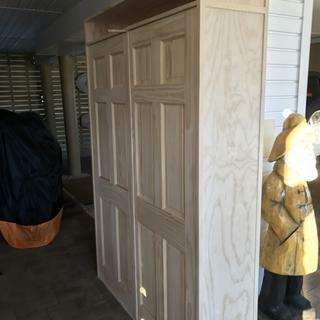 Neighbor is building one so we are going to have a Murphy Bed buidathon. Because it satisfies my requirements and is easier to build than the other kit you offer. However, I feel it is a bait and switch tactic to say you have free shipping but then charge for shipping when one actually submits an order. Because the wife aka Karen wanted it. 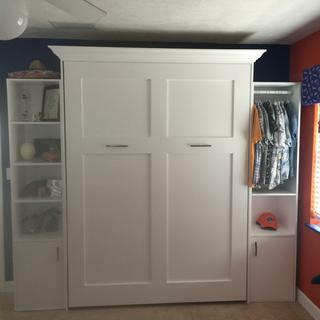 Reveiwed several murphy bed kits and found this one to be the best. 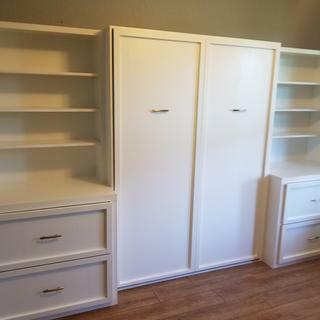 Looks like an easy build that will add a lot of versatility to our extra bedroom. Need occasional accommodations for family visiting. The quality of this bed looks great and the price even better! College graduation gift for my son's new apartment! I picked this item because of the good reviews. What should the maximum weight of the mattress be? BEST ANSWER: Anybody have an answer for max weight? It is in the instructions: Twin 66lb, Full 99lb, Queen 132lb. 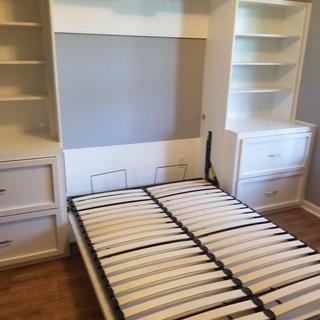 Is it possible to get the same offering for a Horizontal murphy bed? I need that due to size constraints in a small bedroom? Do you have any suggestions for a brand of mattress? The ten-inch thickness limitation is EXTREMELY limiting, given current available mattresses. I'm having a difficult time finding one that "thin" (as one distributor described it). can you convert it to horizontal? BEST ANSWER: Rockler sells this frame in a horizontal kit if that's the orientation needed. I just got the kit a few days ago and put the metal frame together. Looking at the assembled frame I would say absolutely NO. Are these the one attached to wall or to the floor? 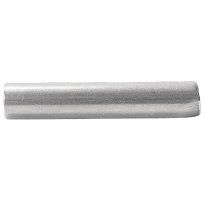 BEST ANSWER: This one attaches to the studs in your wall. They're very secure. 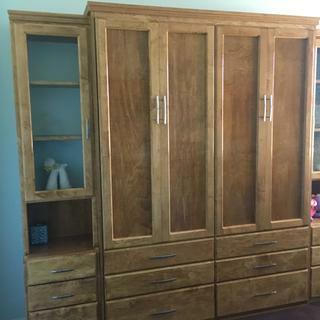 Bed cabinet attaches to the wall and sits on the floor. This bed needs to be secured to the wall. I have a 12” memory foam mattresss and this says it works for mattresses up to 10”. Will this not stay closed? BEST ANSWER: If the mattress is thicker than 10 inches you would not be able to completely close the bed. A 10 inch mattress completely fills the wall unit. I don't know. It's been a while since I made mine, but if memory serves, I think you can "trick" it by making the side panels wider than the plans call for and then work all hardware installation from the front. But its a gamble. Suggest contacting the manufacturer. That would be a question for the manufacturer. I haven't built mine yet, but I'm guessing that you would run into issues with redesign, such as whether you can make the carcass deeper or where to put the pivot mechanism if you do, etc. Is there one available for king size? As far as I know they only make them up to Queen size, You might check with the manufacturer, but then again if it is for guests you might not want to make them too comfortable. What holds the matteress in place when up? BEST ANSWER: I just started building mine today. I see in the kit are 2 mattress supports that attach to the head of the bed shaped like a big U to keep the mattress from falling. These are the same thing you see on a motion bed that keeps the mattress from sliding off the bed when you raise the head. The leg assembly flips over and holds the mattress in place when the bed is folded up. Once the bed is built, can it be broken down at all to move? My boyfriend is worried that once we build it we wont be able to move it. That really depends on what you built and how you put it together. 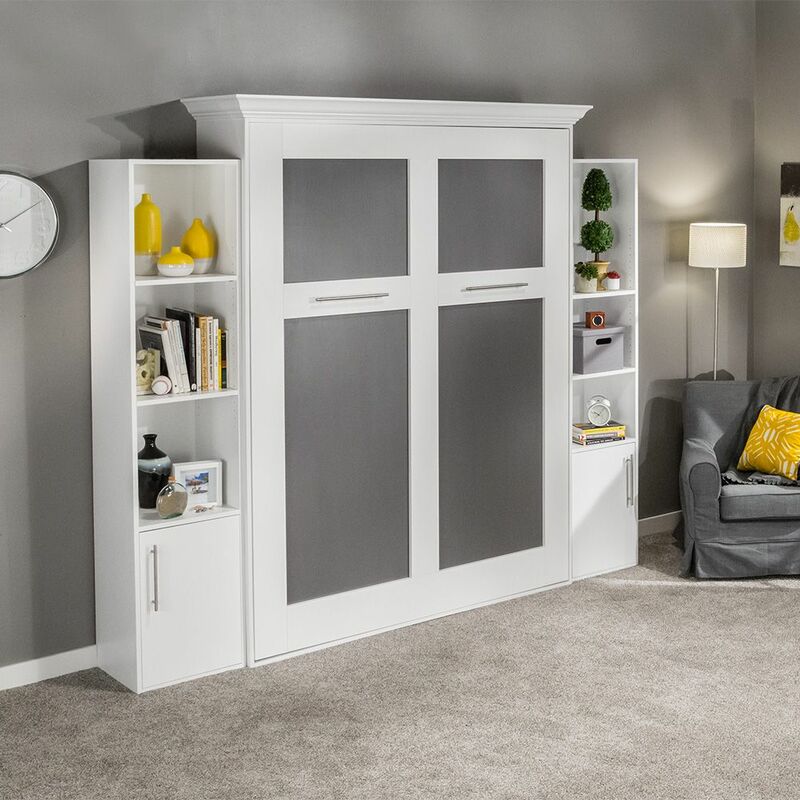 The bed frame and components would be easy to disassemble but what kind of cabinet did you use to build around it? We used IKEA Besta cabinets with some extra trim lumber and put it together with screws so it will be easy to disassemble and move. The bed area could be built in two sections. This would make each section the size of a book case. 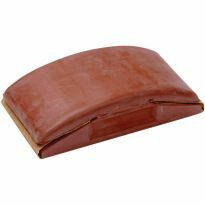 You could put a piece of trim on the visible seam in front and a wide piece in the rear to comnect the 2 cases together. I think that would depend on how you put it together. If you put it together with screws you should be able to remove the screws and break it down. I have not done this myself so no guarantees. Good luck. If you build it with the intention to take it apart should not be any harder than taking a big bed frame apart. You will just need change the design a bit to be able to disassemble. Yes. I built one for my sister, then broke it down to a flat package to ship. No problems. Can this be adapted to a taller mattress? BEST ANSWER: The exact model I bought came with the bed frame, and I think if the mattress were longer, the leg assembly (which flips over the end) might catch and not be able to flip over. I don't see any reason the design without the bed frame (where you build a box to house the mattress) would not be completely customizable, however. I can say this has been a great kit to work on so far...all the parts are really well-organized and there are full-sized drilling guides making it really easy to get critical holes in exactly the right places QUICKLY with no measuring. Just lay the drilling guide on the panel, mark all the hole locations with a punch and start drilling. possibly. we have a standard 60X80 queen mattress. it has slid down to reveal about 7 inches. open I think its close to that. we are unable to open the bed at present...we need to put the face on it to produce the weight to keep it down. What is the difference between the I semble verticle mount and the deluxe verticle mount? BEST ANSWER: Anita, I have built both. The Deluxe is the original Murphy Bed kit. It requires a wooden structure to be byuilt that the mattress sits in. It is very heavy. When you add a mattress, it can be very hard to lift back up. The cylinders help with the lowering and lifting. The I-Semble is a metal frame that is in the kit. You add a wooden decorative front to this. The mattress sits on this frame. It makes making the bed much easier if one side is against a wall. I like the I-Semble version. I will buy the I-Semble version if I make another Murphy Bed. So mush easier, and the look is the same. Make sue that your mattress is not thicker than the max size. 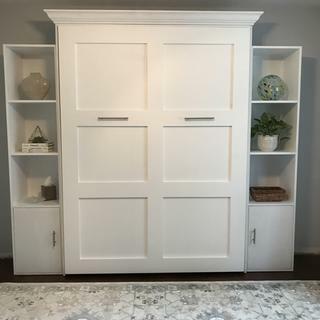 I think it is 10"
Does the I-Semble Vertical-Mount Murphy Bed have a wall mount bracket rather than mounting to the inside of a custom cabinet? BEST ANSWER: Mine came with 2 angle brackets to attach to the top of the cabinet and the wall. I did not like the brackets that came with the bed. After receiving notice that some people had the cabinet come loose and fall on them I decided to overdo the attachment. I bought a 3 foot piece of perforated angle iron, attached it to 3 wall studs and then to the top of the cabinet. It would take a crow bar to get mine to come down. What ever you do make sure that you are attached to wall studs and not just sheet rock. I made the cabinet like the directions said. Then I fastened it to the wall. Be sure to use the brackets and bolts that came with the kit. You want to fasten it very securely to prevent it from coming down. The springs are very strong. Not to my knowledge. You have to have a frame for the mounts to work to be able to raise and lower the bed. Are you an designer or engineer for the I-Semble Bed? I appreciate your knowledge but your credentials are not stated. Are you a user/consumer expressing an opinion or are you part of the engineering/design team? What is your knowledge base? I ask again: is there a bracket or other device that the I-Semble designer or manufacturer has developed that allows the mechanism to attached to the wall rather than to a cabinet? What is shown in the picture is what you get ? I know we have to buy the mattress but I get everything else ? BEST ANSWER: No, this product only contans the hardware. You need to purchase the lumber and actually build what yiu see. 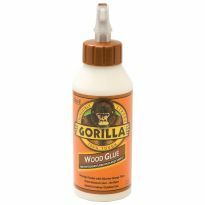 This is a great product and easy to build with basic woodworking tools. You get the frame and assembly hardware, and you have the pleasure of building the cabinet to your taste. Full directions included. Can I adjust the plans to make the bed sit higher off of the floor so that it is more comfortable for older guests? 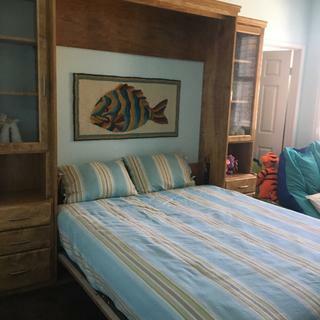 (more than 10" between floor and bed frame... I think we have the space- 9 ft ceiling). BEST ANSWER: The leg that supports the end of the bed when folded down is a fixed size. To make the bed sit higher off the floor you would have to modify the leg and would likely need a deeper cabinet to hold the leg when folded. All of this can be done but would take quite a bit of effort and you would have to take care to get the bed level with a modified leg. One thing you might want to consider is using a mattress thicker than recommended. I did this by making the cabinet deeper to hold the deeper mattress. The top of my mattress sits approximately 26” off the floor which is fairly comfortable. That being said, I would imagine you could fabricate a strong wooden box (I would use good 3/4 inch plywood, NO PARTICLE BOARD) and afix one of them to the floor under the frame of the bed that stays attached to the wall...if you were to mount it securely to the floor, then you could put a block of the same thickness under the feet at the foot end of the bed and voila...taller bed. 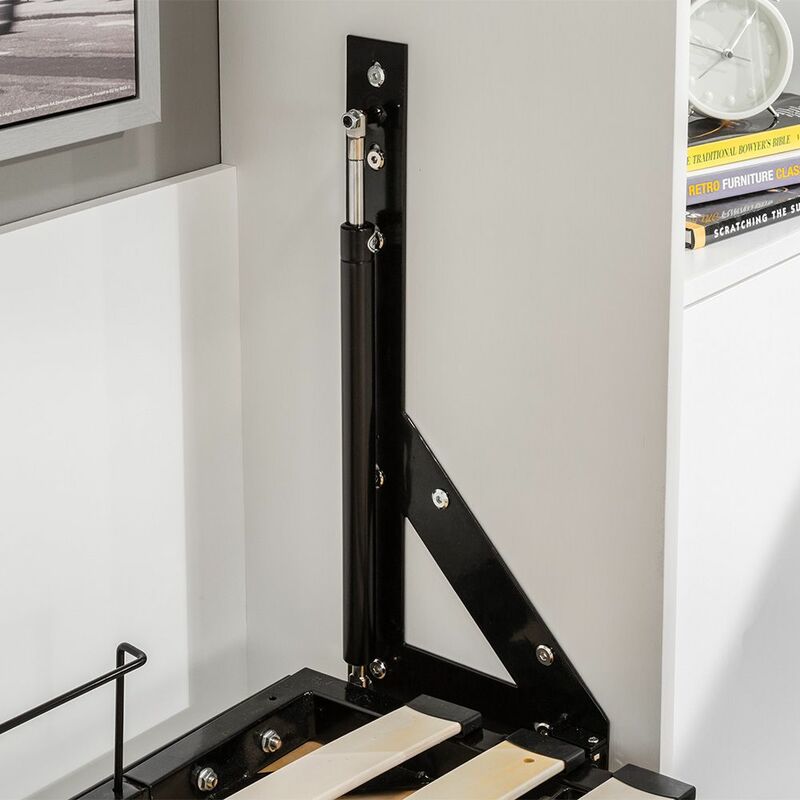 The legs that fold down from the frame when the bed is lowered are approximately 12 inches long and in order for the platform to be raised, you would have to make a stand for the legs to sit on when lowered to match how many inches you raise the mounting plate location in the cabinet. I would think so, as long as you precisely follow the location specs for the hardware. You will also need to accommodate the front support with a separate piece that will not fold up with the bed. Probably not. The fold down legs are not adjustable. So even if you start the framing process higher off the ground, the legs of the bed won’t fold out to touch the floor. I don't think so because the folding legs at the end (the ones connected with a bar across the mattress) have only one height setting. Does it come with the side book shelves? BEST ANSWER: No. You get only the hardware. All the wooden parts must be cut and assembled by the customer. It's only the hardware, you have to build the sides the way you want them. No, it’s hardware only. There are no wood products included. No it does not come with side book shelves. Does the bed come with the shelves? If you want to add the shelves, you'll need shelf pins/supports for 3 shelves per cabinets, 2 hinges per cabinet, 1 door pull per cabinet, and additional wood. A shelf drilling jig is also really helpful for the shelves. I just built it and I do think a crown jig (either built or purchased) some large clamps or clamp-it squares, an a domino joiner (stronger than biscuits) would all be a consideration for me were I to do it again. This product is the metal bed frame and wood slats only. You will have to purchase at least 6 sheets of high quality plywood to build the cabinet and optional shelves. This is not for the novice builder as I quickly found out. After buying the proper tools and carefully following the instructions my unit came out nicely. Read up on this before making the purchase. 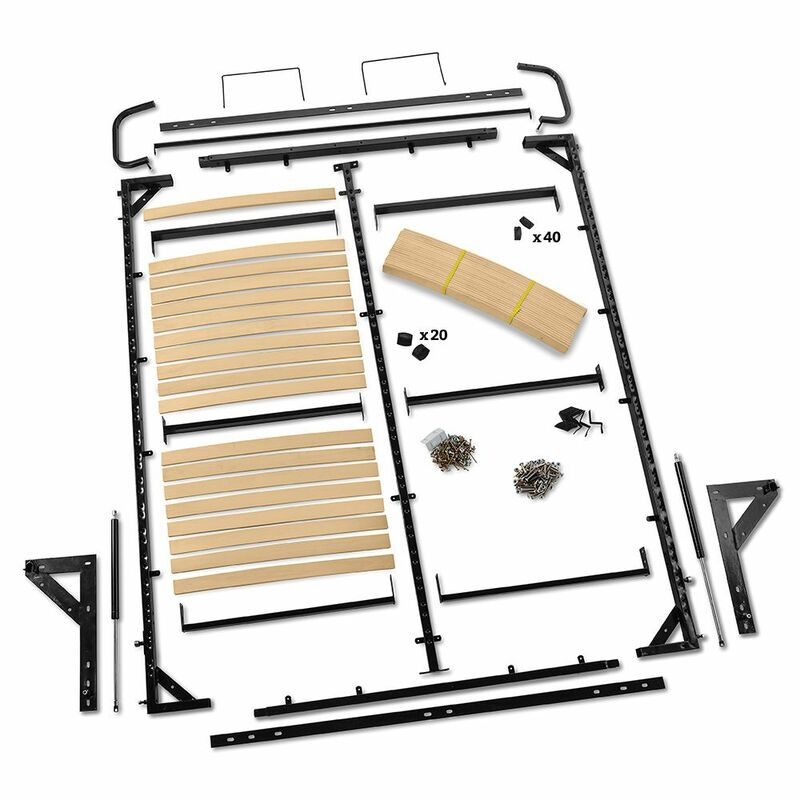 No, the kit includes only the bed frame, mattress support and the hardware used to raise and lower the bed. Plans are included to build the basic cabinet that houses the bed. I think there are plans available on the Rockler website for building the shelves on the sides of the bed cabinet. No, this is just the mounting hardware, frame for mattress. All wood is customer supplied. 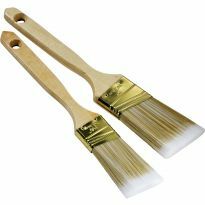 There is a good plan on the Rockler site. Excellent product! can you use one of the 10 inch foam mattresses on this bed frame, or are they too light? Foam mattresses weight about 60 pounds. BEST ANSWER: This is a great kit but the lifting pistons are not adjustable to accommodate light mattresses. We used a steel spring IKEA mattress and even that was too light. I called Rockler and they said to just add weight to the frame. We added 2 two foot long steel rebars and strapped tied them on and that did the trick. Works great and we love it. Don't know conclusively. I am still working on mine, but my sense is NO. It might work if you remove one of the 2 pistons. Right now, I have one in place and the bed frame is quite easy to pull down and hold. So it might work. Not my long term solution, but just where I am at now. That's what we used and it was too light so my husband added some extra weight on the underside of the frame so it would stay down. You might be able too. You can always add weight to the back side of the panels. You should have no problem, I bought a lighter one and it works fine! Just to be 100% sure, this DOES NOT include the materials for the frame/cabinet enclosure, only the instructions for how to build it? BEST ANSWER: The kit includes only the metal components and hydraulics of the Murphy bed. The only wood components which are included are the bed platform slats. 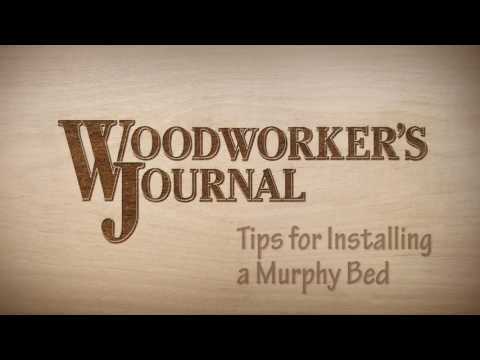 The instructions on making the bed's cabinet and side cabinets are in the Woodworkers Journal article which can be downloaded on the Rockler website. 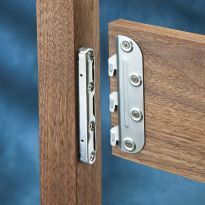 The customer needs to purchase the wood and door hardware such as hinges and door handles. LED lights may be purchased separately. You are absolutely right. It is easy to build. Just follow the directions and every thing will fall together. The instructions are great for the assembly and making the frame and covers. This is a kit that includes all hardware including screws. It does not include any lumber, you can design it any way you like. Correct , only the hardware is included. Do we get all the hardware shown in the picture ? I guess not. Can anyone tell me what all is included in the kit? BEST ANSWER: Everything is included as well as the wooden slats which take the place of a box spring. You furnish the wood i.e. plywood, wooden frame, trim and crown molding. You also supply the milk paint, water based polyurethane, door handles and if you wish, LED lights. You get everything you need to install the frame which includes all bolts nuts and screws including templates to mount the main part of the brackets to the wood frame. This also includes 2 allen wrenchs and a wrench for the nuts. I do recommend that you buy a good set of allen wrenchs to use on the bolts. I bought the queen size kit. The only items not included are the glue (Tightbond III) and screws. All of the hardware were included in the kit I bought. I have concrete block walls, not wood studs. How do you suggest I install? I would suggest using a hammer drill to drill into the block and then use concrete anchors to attach to the wall. It is very important to get a firm attachment to the wall. This is not a freestanding unit and if it closes or falls on someone while using it could hurt them. I personally installed mine to be permanent. You can install with concrete block walls just need to use anchors in the wall. I saw there was previously a safety recall. How has this been resolved? BEST ANSWER: Rockler provided me with a kit which consisted of lag bolts and brackets (to secure the frame to studs in the wall and new brackets that hold the cabinet sides securely to those boards. 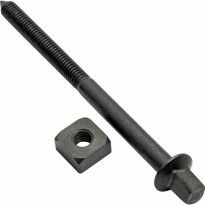 All screws, bolts, brackets are supplied along with well written instructions. They sent me some pretty beefy hardware with instructions. The hardware is easy to install and I believe completely addresses the safety issue. With no side boards, is there a problem with mattress sliding off the sides? BEST ANSWER: Not any more than a mattress would slide off a box spring on a normal frame type bed support. I have not put a mattress on mine yet. I do not anticipate a problem because the legs that swing down fold up over the mattress when the bed is in the closed position. No problem at all, I have the queen. Can you simply just use this kit? Or do you need to buy the enclosure as well? If you didn't buy the enclosure, what would you need in addition to this kit? BEST ANSWER: You'll need to build the enclosure. It only comes with the mechanism and bed frame. If you click on "download manual" it'll explain everything you need and how much 3/4" plywood to use. You have to build the cabinet. I haven't gotten to the book shelves on the side yet. The kit is only all the metal pieces needed, The plans are easy. You have to build the enclosure and use the kit for the hardware. I don't think they're selling an enclosure. Could this be used on an entertainment center? I have a huge solid 4 piece entertainment center. 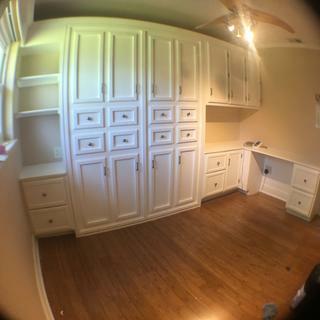 2 tall side cabinets and the bridge across the top. There is 4 separate pieces. I'm thinking not using the center cabinet and using the 2 tall side cabinets for the frame. Do you think that would work? BEST ANSWER: I have basically done the same thing that you want to do. If the dimensions are compatible with the bed it should work just fine. My preference would be for the bed cabinet to be deeper than the side cabinets. Even flush depth would be good but if the cabinets are deeper you might want to modify the depth of the bed to match. 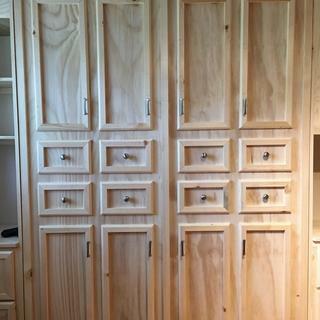 The only other challenge is matching or complementing the finish on the side cabinets. The opening would need to be large enough to accommodate the bed. It's highly unlikely that the opening sizes would match exactly, so you will need to make some sort of custom transition to cover any gap. This would be more complex than just building the kit but if you are handy enough I think it could be done. It might. Needs to fasten to the sides of cabinet. 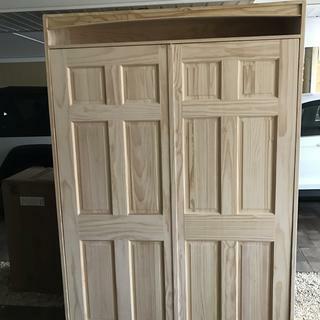 Need approximately 84" of cabinet height to accommodate hardware and mattress in verticle position. Make sure to fasten the unit to the wall. Yes that should work fine. As long as the entertainment center is in separate pieces then there will be no issue of spacing. Does the two book shelves on the sides come with the kit? BEST ANSWER: Absolutely no wood or cabinets are included in this kit. You only get the "parts" in the first photo, you have to build the cabinets. Click on the Technical Documents: Instructions and it'll clue you in on any other questions you may have. No, NONE of the cabinetry comes with the kit. You only get all the mechanical pieces for the bed and have to supply all the cabinetry yourself. Does this item have to be anchored to a wall? BEST ANSWER: I would not feel comfortable not securing the bed to the wall. 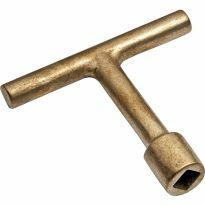 Per the safety warnings, it should be secured into the wall by using ¼ x 3” washer head lag bolts into wooden studs (2x4 min size). It also warns against using wall anchors or drywall anchors. It's not worth the risk to take shortcuts. Rockler Queen Murphy Bed: What is the difference between the kit WITH or WITHOUT the Mattress Platform (besides the obvious)? Pro's and con's of the Mattress Platform? - Thanks! BEST ANSWER: The obvious I assume is that will need to build a frame to hold the mattress. Depending on your skill level this could or could not be something you want to tackle. One advantage to the platform is that it supports the paneling that forms the front face. With the weight of the wood and mattress I felt the platform was a good choice for that reason. It gives a solid base to work from. Also the support slats work well to provide a box springs support. There is a plan in one of the handyman magazine issues for building this bed without the platform. Thanks! Makes sense. I'm looking for comfort and solid, lasting construction, whether done myself or using the Mattress Platform. I will likely use it. Was looking for any that may have done/seen both and had some hindsight advice (i.e. wish I had, wish I hadn't) for some vicarious experience. Cheers! 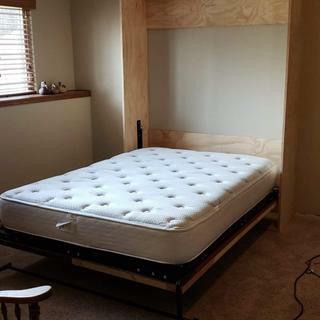 The mattress platform acts as a box spring as there is no room to have a box spring. Without the platform the mattress will lay on a hard service with no give or bounce. what color is the product? BEST ANSWER: The metal parts are black. The slats are a light brown in color. All of this will be cover up when closed. You cab color the wood frame whatever color you want. 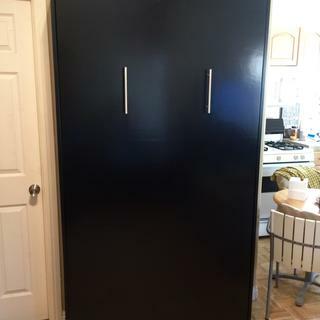 The Murphy bed I bought from Rockler had black hardware and the wooden slats are almost white. Does the outer shelves come with the bed frame? If not where do I purchase the shelving? BEST ANSWER: No, only the hardware where the bed frame is included. None of the lumber or material to build the box is included. 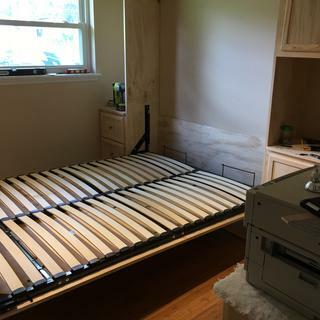 The bed frame does not come with outer shelves, nor does it come with the other wooden (mostly plywood) parts that make up the bed enclosure. Only the hardware. No shelves, no wood frame, just the metal hardware,you assemble and mounted on your wood frame & shelving. Great project to design & build to fit your space. I just got the queen size kit. I can't find any weight range for the wood door in the plans. Wanting to do Barn Door style front and concerned about total door/frame weight vs piston strength if I do 1/2 ply with 1/4 oak boards to glued on top to create the effect. Anyone have the info by chance? BEST ANSWER: I used 3/4" maple plywood. I added six solid maple false front doors (three side by side) and framed the upper 2/3 of the plywood with maple trim. The weight worked out perfectly with the matress I bough. I did something very similar. Used half inch plywood on the front trimmed with 3/4" x 2 3/4" rails and stiles. And then added a drop down table for my wifes sewing/cutting table. If anyone has pushed the weight limit, I have and all seems to be working just fine. I built a full size cabinet with heavy oak plywood (mdf core) and have not added oak boards for trim yet but the piston strength seems to be quite adequate so far.